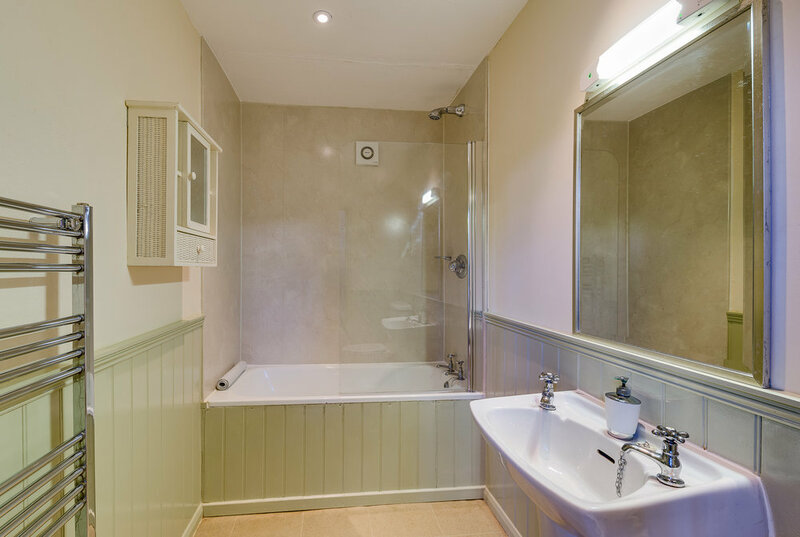 Located at one end of the range of barns, closest to the lane, the Dairy offers two bedrooms, one double and one twin. 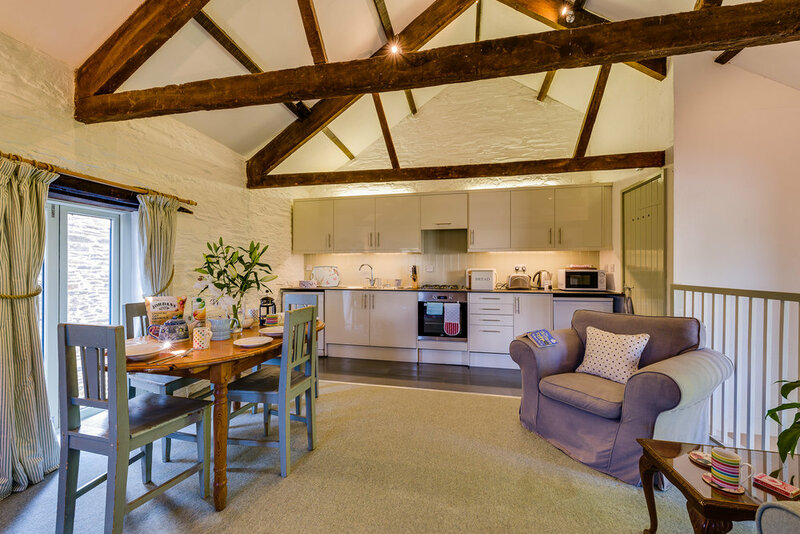 The light and airy living space is located upstairs taking full advantage of the original barn roof trusses. From the gable window you can look out on the neighbouring farm activities and cattle meandering from the field to the milking parlour. Downstairs, the bedroom decor continues the theme of light fabrics and furnishings. Outside, across the lawn, is the Dairy’s sitting area, with easy access to the other recreational areas and games room.